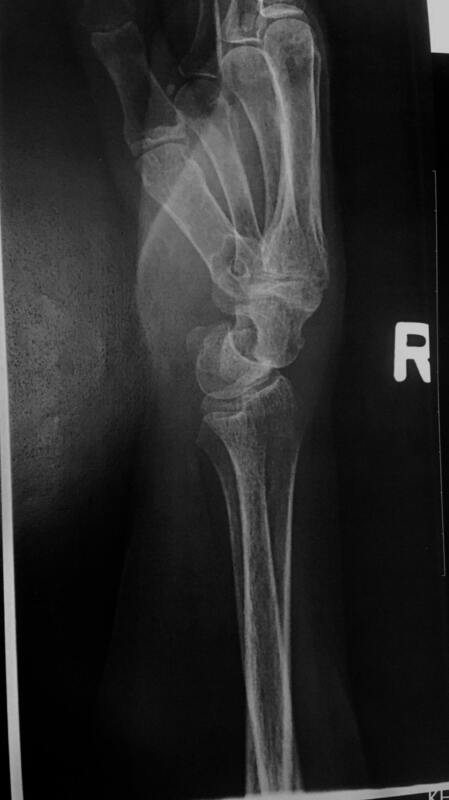 This is an example of a midcarpal joint dorsal intercalated segment instability (DISI). Note how the moon-shaped lunate in facing in a dorsal direction. Also, notice the arthritic changes taking place on the dorsal lip of the lunate from the malaligned loading of the capitate. Yikes!